You may not trade the same markets that I trade. 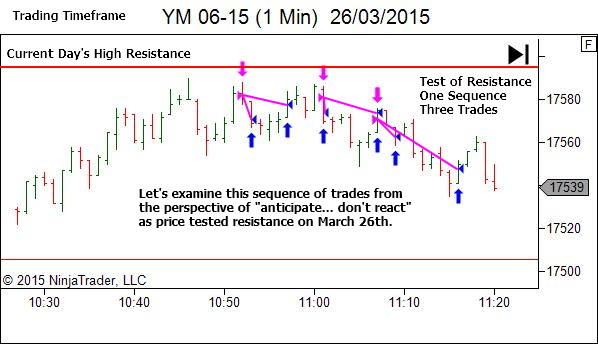 You may not trade the same timeframes that I trade. It doesn't matter though. 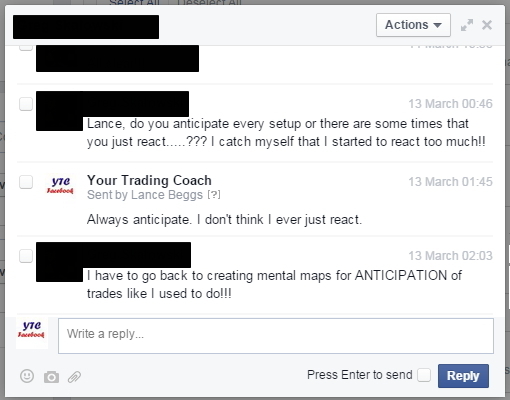 Trade on your terms, meaning that all action is pre-considered and pre-planned ahead of time before price gets to the area, rather than an emotional over-reaction to sudden price movement. Hi Marcus, thanks for explaing this concept, I was having these days a lot of trouble when I reached this zones. I came here because a youtube video about how to trade resistance breaks. 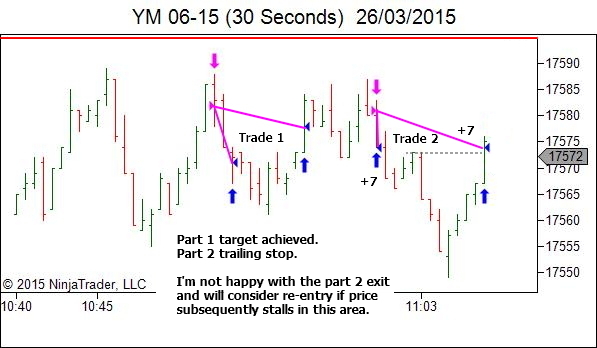 I have one question about the targets you choosed in your trades, do you do this using fibonacci or how? Also, can you point me to an article about target selection? I think you make a great work explaining complex stuff, thanks! Yes, be sure to look for the two follow-up articles to this series as well. But for starters, work through this Importance of Exit Strategy series. That will give you the basics. Its an old article so I am not sure if you will notice this comment, still trying. In the 3rd chart, you say there is weak projection at G and you are looking for one more weaker projection for entry short. I am sure you might not have any such rule as 2 weak projections, but still wondering why you waited for one more weaker projection? 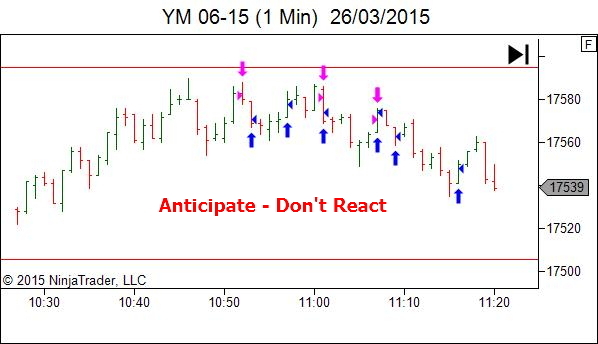 May be you wanted to get sure that bulls are exhausted? 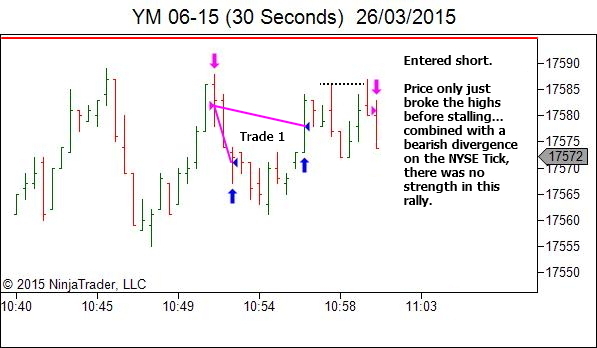 In the 5th chart, you have shown 2 swings in the upmove. Does that mean you had to have 2 upswings? In the same chart, suppose if there was a bearish engulfing of the last green candle, would you enter short below that or let it go as it is not according to your anticipation? you again say that you want to see another weak retest of high before you would consider a short. So please explain. It’s difficult to recall my thoughts from just a day or two ago, let alone over two years. So I’ll talk in general terms. 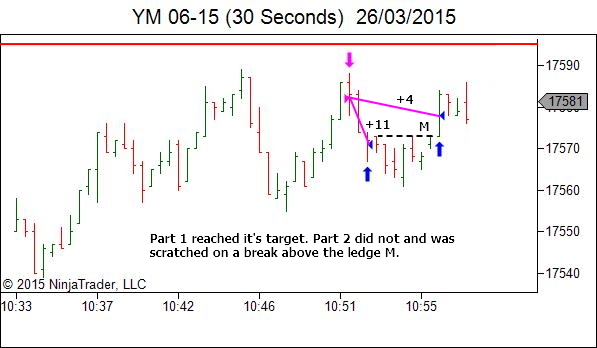 3rd chart – Why wait for an extra push higher? There are no rules here, except for the general concept of waiting till the bulls have exhausted themselves. Given that it’s a TST rather than a BOF they can be very tricker to time. 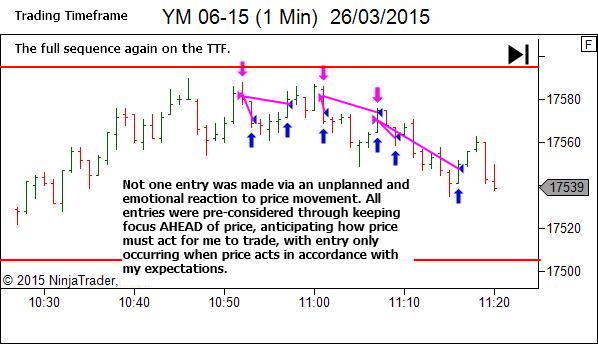 You ideally want price stretched and then stalling out at the highs. Something which has the last bulls entering LONG to be getting a bit concerned. So if I decided I wanted to wait for another leg higher, it’s only because it didn’t feel overstretched yet. BOF is much easier. You know when it’s broken the level. For a TST, a lot of feel is involved. 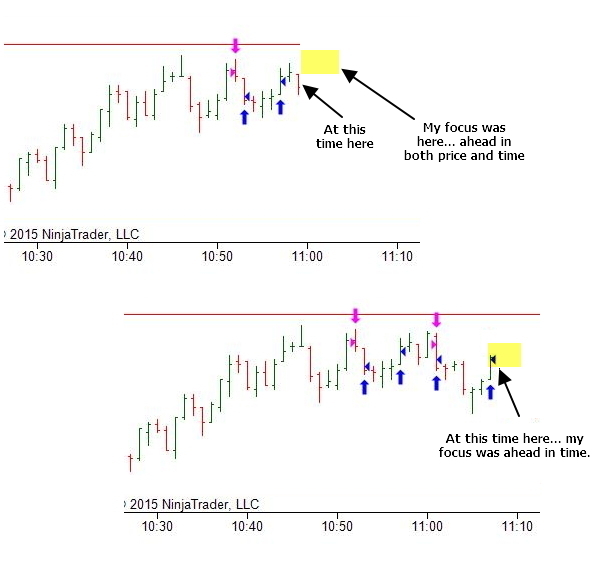 Always keep “the other trader” in mind. When are they feeling stressed? When are they doubting their trade? That is when you want to enter. 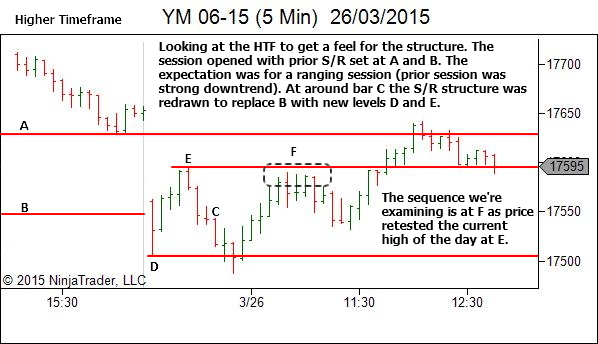 5th chart – Do I require two swings higher like in the image? No, this is just a visualisation. The important information in the image is not the number of swings, but rather the fact that it shows some sign of weakness. 5th chart – Bullish Engulfing candle – No, I do not enter short if it’s not something I have anticipated. Let it go. 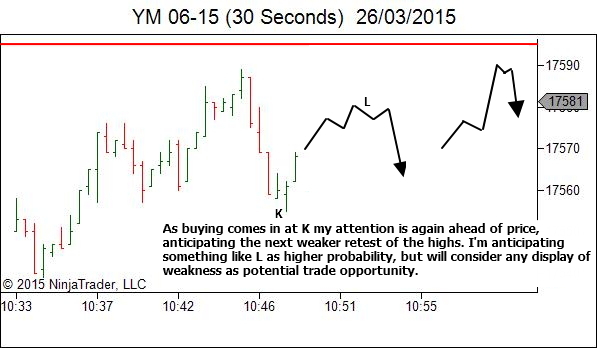 And keep attention ahead for the next trade opportunity. 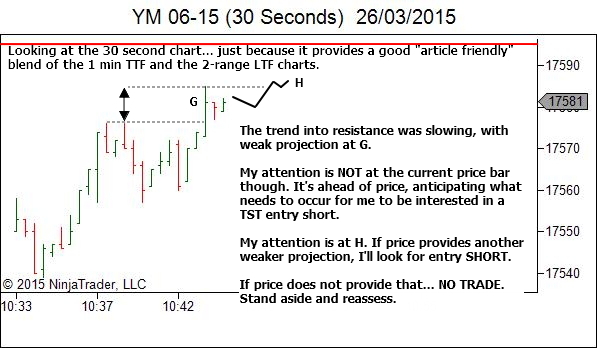 8th chart – Why wait for the entry? 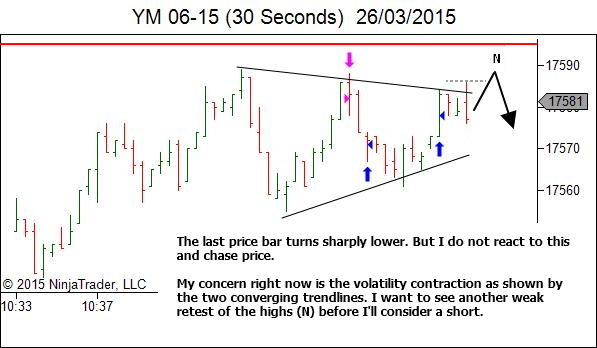 Volatility contraction will often lead to volatility expansion. Although in this case it’s not a very tight contraction, so it’s not a major issue, I’d still want to be sure that there is no potential to push higher with strength. Wait till you have no doubt at all. Ideally I’d like to see price break to new highs, stall and then fail. It didn’t quite get there. 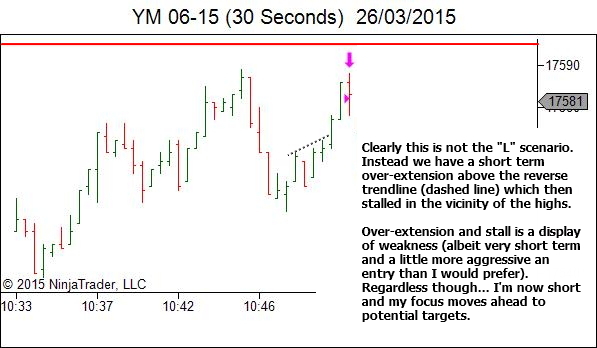 But note how entry did still provide a trap in that it broke the most recent high (dashed line). In any case, the idea is (as above and in every trade) delaying entry till I am sure the bulls have given all they’ve got and have nothing more available. Also just wanted to know that out of say 10 set ups you anticipate, roughly how many really happen? Hard to say in that (a) I don’t track this. And (b) the “forward projection” of price is constantly adjusting depending upon the new data that unfolds with every price bar. But certainly less than half of them are traded. Thank you for replying to a question about an old article. And about your last reply, I think that since you are trading lower time frames, you would be letting go of more than half the anticipated trades that dont materialise. 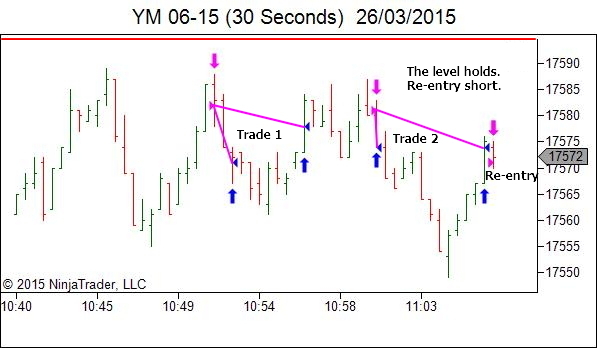 Would it be same for someone trading 3 or 5 minutes timeframe? 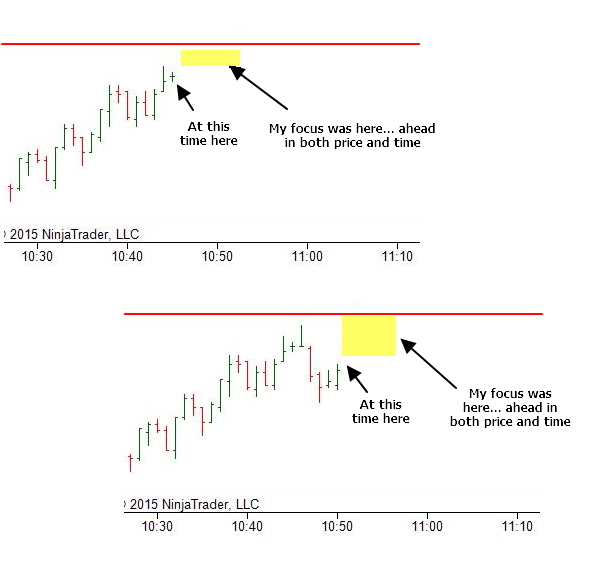 I believe that timeframes dont make much difference as one cant tell which timeframe a chart belong to if theres no data on the time and price axis, but this point of letting go of trades had me thinking. I imagine it should be much the same for someone on the 3 or 5 minute timeframes. 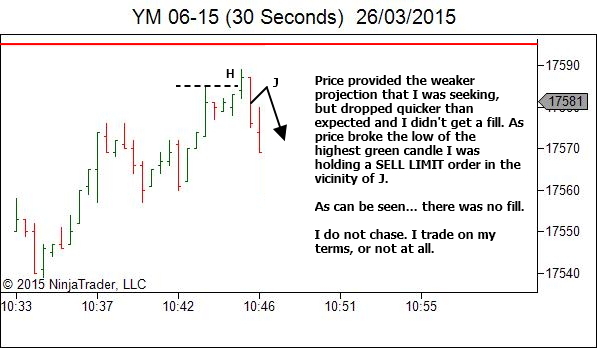 Although the higher we go with timeframes, the more time the trader has to make decisions. 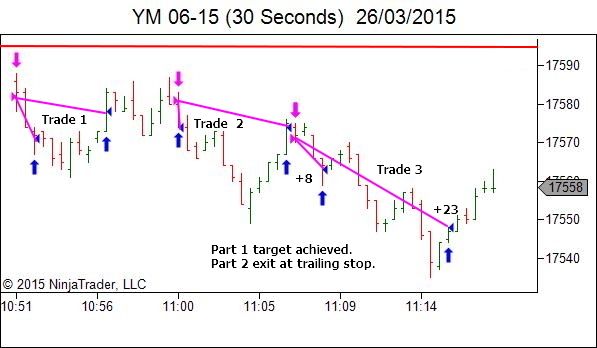 This could result in more trades taken through talking yourself into them.